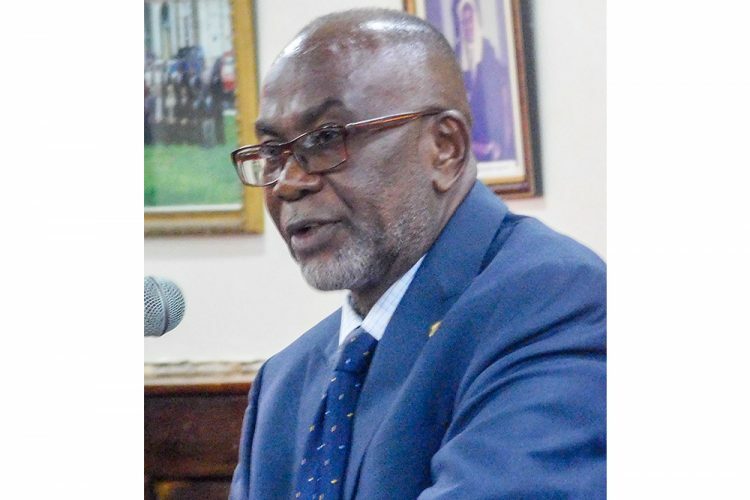 Speaker of the House of Assembly Jomo Thomas and Member of Parliament St Clair Leacock may be heading for a showdown when Parliament resumes on Thursday, May 2. 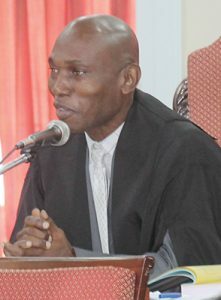 Leacock, the Member of Parliament for Central Kingstown, has decided to remain seated during the prayer session in Parliament as a form of protest. This has been ruled as being against the rules of the House. The Speaker gave his ruling last week Monday, April 1, during a sitting of Parliament, after member of parliament for Central Leeward Sir Louis Straker pointed out that Leacock’s protest was not in keeping with House rules. Leacock says he will remain seated during the prayer session to protest a decision made by the Speaker last year, which effectively blocked debate on a motion of No Confidence. In 2018, the Speaker allowed the Government members to amend a Motion of No Confidence in the Government which had been tabled by the Opposition New Democratic Party (NDP), into a Motion of Confidence. The Opposition members say that decision by the Speaker was unconstitutional. The Speaker later stated in a Facebook post that he was wrong when he allowed the Government to amend the motion and that any similar motion will meet a much more enlightened “Jomo” if is he Speaker. Straker, who drew Leacock’s breach to the attention of the Speaker, quoted from the Standing Orders which say the Speaker is responsible for the observance of the rules of order in the House and decisions on any point of order should not be open to appeal and should not be reviewed by the House except through a substantive motion made after notice. Sir Louis added that apart from the Standing Orders, one can refer to the parliamentary authority Erskine May, which also states that when the Speaker makes a ruling, it is final, and members cannot take it upon themselves to challenge the Speaker or to protest. “…And he has been carrying on this matter…and I have allowed him to because I thought he would amend his ways or his colleagues show him the error of his ways,” said Sir Louis. “It is out of order according to Erskine May and I hope that you can rule on this matter and this member cannot defy the authority of the chair,” stressed Sir Louis who added that actions of this nature can cause chaos. Thomas agreed with Sir Louis. “I think that the position as you articulated is well founded in the practice and directions of the House,” commented Thomas who added that when Leacock first initiated his protest he did not “want to give it legs”. 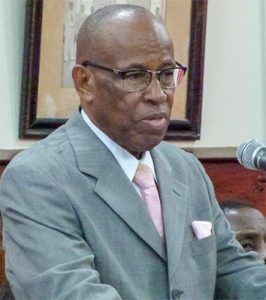 “I allowed him to carry on because his protests normally last a second to two and you are absolutely correct and you have cited the relevant sections of the Standing Orders…and I think that the motion is sustained and we will ask the honourable parliamentary representative form engaging in the actions he have been engaging,” Thomas said. He added that if Leacock wants to protest, he can do it in a different way and suggested that the Central Kingstown representative walks out during the prayer and returns after. “…But he cannot get up in the well of the House and continue saying what he is saying because the point has been canvased by a ranking member of the House and the point is well made,” Thomas commented. But Leacock said that his protest will continue. “My protest will continue until the Constitution is respected with respect to the status of vote of No Confidence. “We will not be the laughing stock of the world and this country will one day be allowed to have votes of No Confidence tabled here and debated here,” said Leacock.